To show our appreciation of the Mexican culture, we have created artwork comprising a collection of ancient Mexican themes, including; Incan, Aztec and Mayan imagery. 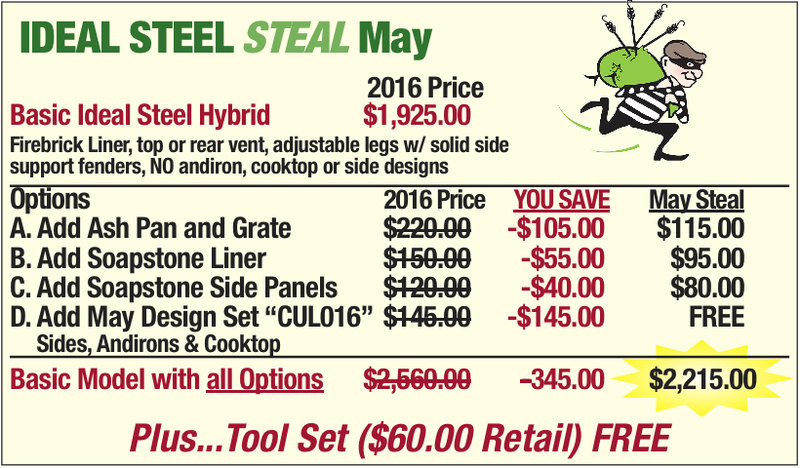 Get the benefit of great savings, and join us in our celebration of Cinco de Mayo, by purchasing our Ideal Steal of the Month. 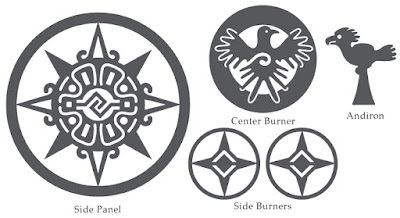 You can enjoy looking at this beautiful artwork on your Woodstock Soapstone Ideal Steel Stove. Don’t delay; this special event pricing will not last long. 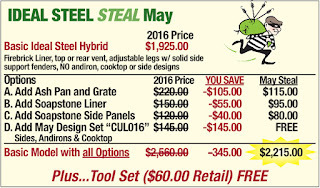 This special pricing ends at the end of the month of May. I want a metallic brown stove with black accents to show-off the Mexican theme of this collection. What colors will you be choosing? Absolute Steel Hybrid is in Production!